Grid battery storage projects like Tesla’s 100-megawatt installation in Australia may be getting lots of press, but behind the scenes, hydrogen fuel-cell systems are carving out a niche in applications ranging from non-polluting motor vehicles to power-gobbling data centers. Satyapal and some prominent users of fuel-cell systems, including executives from Microsoft and Toyota, discussed the state of the art in Seattle today during the CleanTech Innovation Showcase, presented by CleanTech Alliance. Fuel cells generate energy through a straightforward chemical reaction: Stored hydrogen is combined with oxygen from the air with the aid of a catalyst, producing electricity. The devices are about twice as efficient as internal combustion engineswhen it comes to converting chemical energy into power, and the only emissions they produce are air and water vapor. 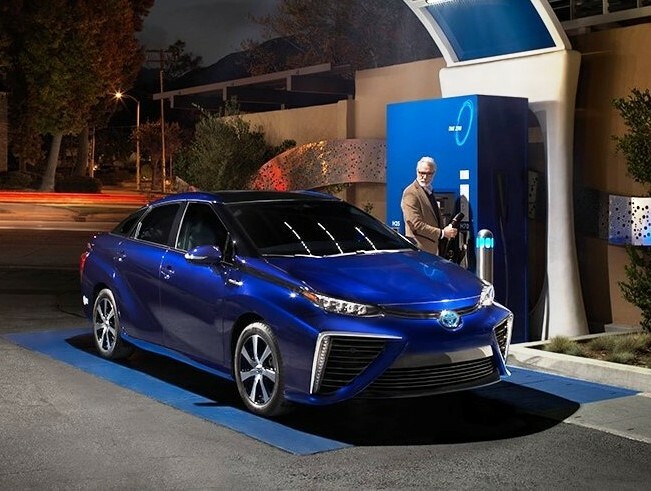 This entry was posted in GeekWire and tagged Automobiles, Energy, Fuel cells, Hydrogen, Technology, Transportation. Bookmark the permalink.